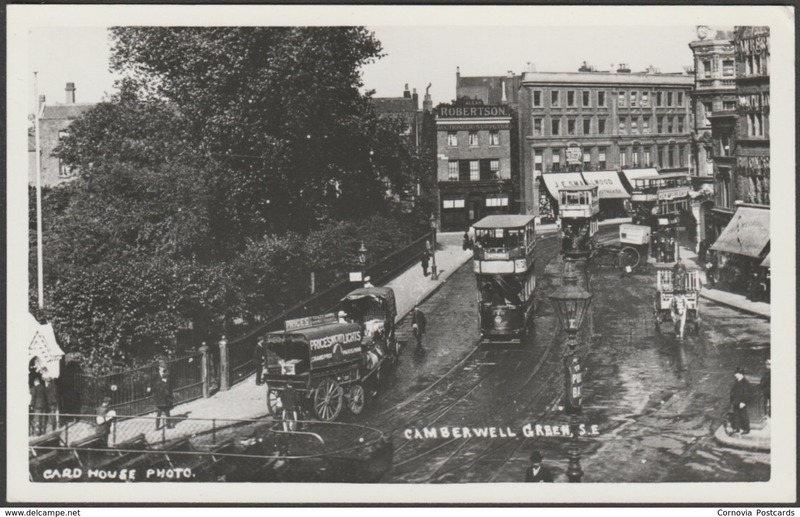 Monochrome reproduction photograph showing a nice animated view of Camberwell Green in South East London in the early 20th century with several trams, horse-drawn carts and pedestrians, as well as pubs and shops. Sold by the T.S.O. 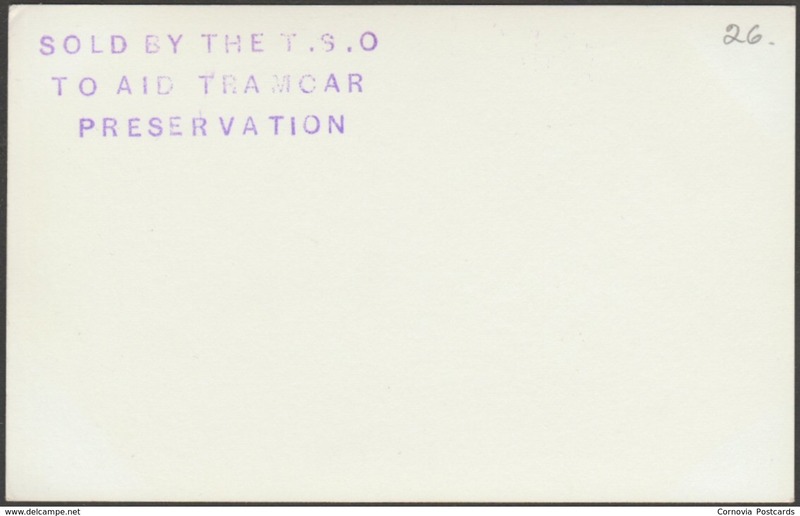 [Tramcar Sponsorship Organisation] to aid tramcar preservation, No 26. Original is a Card House Photo, possible a real photographic postcard.